This coming July, you’ll be able to watch the entire Olympic Games as they happen for the first time ever. NBC and YouTube are partnering up to live-stream the entire London 2012 Summer Olympics. You’ll be able to catch over 3,000 hours of live coverage from your computer or mobile device. The games will be streamed on NBC Olympics using YouTube’s technology back-end. According to an NBC statement given to The Next Web, you will also be able to replay all “web-exclusive events, all television broadcasts, interviews with the athletes and exclusive daily segments about London 2012.” A definite plus for those who don’t have a DVR connected their television. Most of the Olympic events as shown on NBC broadcast channel will be far from live, given the 5- to 8-hour time difference between the US and London. But this year, you will actually be able to see Usain Bolt and Michael Phelps pull of their superhuman feats of speed as they happen. 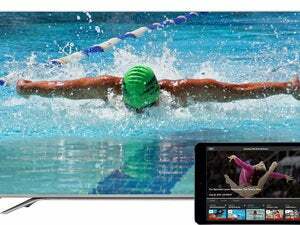 This story, "YouTube and NBC Will Live-Stream the Entire 2012 Summer Olympics" was originally published by PCWorld.